Paul Casey will play with No. 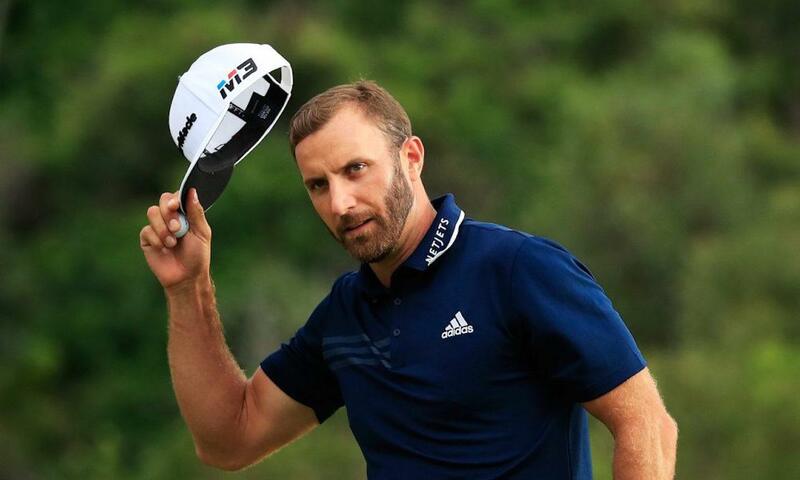 1 Dustin Johnson in the final paring Sunday. Good news for Paul Casey is that he has the 54-hole lead at the Valspar. Bad news for Casey is that he’s the 54-hole leader. Casey has held five previous 54-hole leads and only once did he close the deal — and that was at the 2009 Houston Open. Last year, Casey came from five shots back to win at Innisbrook. Some uncomfortable new for Casey is that he’ll go head-to-head with the world’s No. 1 on Sunday. Casey bogeyed the final hole Saturday and dropped from 10-under to nine-under after posting a 68. Dustin Johnson made birdie at 18 for a 67 that got him to eight-under and a spot with Casey in the final twosome. “I played solid, missed a couple of short putts but other than that, I played really well,” Johnson said after hitting a sensational shot from one of the fairway bunkers right of the fairway and it stopped inside 10 feet. He holed a nice downhill right-to-lefter for his 67. But it’s not just Casey and Johnson. Long-hitting Jason Kokrak is in at seven-under par after shooting 66, including a hole-in-one at the 15th. Former Valspar champ Luke Donald and Scott Stalling will start the final round just three back of Casey.